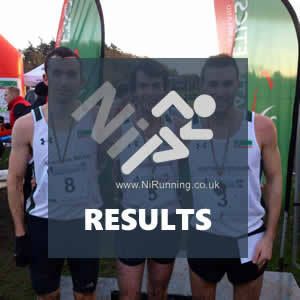 Neil McCartan (East Down AC), Rebekah Nixon (Dromore AC) and Gareth Lyons (Unattached) won the premier races as one of Northern Ireland’s longest established clubs, Annadale Striders, hosted the annual Malcolm Cup XC in Sixmilewater Park, Ballyclare (Saturday 24th November 2018). 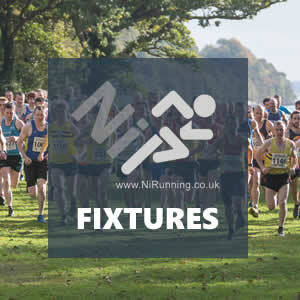 The well-supported event is part of the ongoing Athletics NI XC League 2018/19. In the Malcolm Cup Senior Men’s and Under 20 4 mile race, training partners Neil McCartan, Conall Kirk (Annadale Striders) and Jonny Whan (City of Lisburn AC) broke clear of an early lead pack, with Neil and Conall pushing the pace and Jonny just behind. As the trio continually increased their gap on the field, it was Neil who edged clear in the latter stages, breaking the tape in 20:32 (1st place). Conall followed in 20:40 (2nd place), with Jonny (20:44) just four seconds behind in 3rd place. In the team competition, Willowfield Harriers claimed 1st place ahead of Ballymena Runners (2nd place) and North Belfast Harriers (3rd place). Willowfield Harriers’ Matthew Caves was the leading Under 20 athlete in the field, recording 22:33 for 1st place in the age group and 22nd place overall. In the earlier Masters Men’s 3 mile event, Gareth Lyons put in a significant surge at around half way which proved to me a race winning move. David McNeilly (Newcastle AC) led early on, but it was Gareth who took the race on, with the returning Iain Taggart (Unattached) also impressing. Gareth broke the tape in 15:51 (1st place), with Iain claiming 2nd place in 16:11. Stephen Nicholson (PACE Running Club) came through late on to secure 3rd place in 16:22. In the same 3 mile race, Northern Ireland senior international Rebekah Nixon was a class act in the Ladies event. The Dromore AC athlete, who flew home from university especially for the race, led from gun to tape, winning in 17:40 (1st place). Behind, there was an excellent battle between Catherine Diver (Beechmount Harriers) and Gemma McDonald (Ballycastle Runners) for the runners up spot. Catherine had the edge throughout, but in the end, it was Gemma who crossed the line in 2nd place, clocking 18:03; Catherine recorded 18:08 for 3rd place. 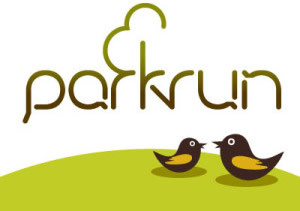 In the ladies team competition, Dromore AC secured top honours in 1st place, with Beechmount Harriers and Willowfield Harriers in 2nd place and 3rd place respectively. In the competitive junior races, which were spread across the race programme, there were wins for Mason McCreedy (Loughview AC), Fiona Whitehouse (Acorns AC), Finn Cross (Willowfield Harriers), Lily Rimmer (Dromore AC), Jacob McKittrick (Willowfield Harriers), Eimear Johnston (Ballymena & Antrim AC), Meadow McCauley (Newry AC) and Niall McKnight (Annadale Striders). Ciara Mageean secures AAI National Senior XC gold in Abbotstown!